CanLit for LittleCanadians: Sleep, Sheep! 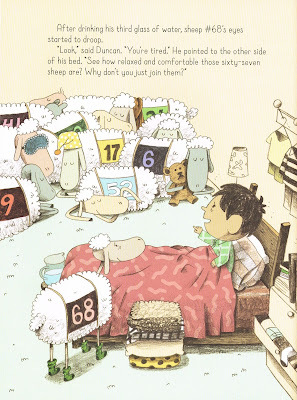 Duncan may be the little guy who can defer sleep with an endless stream of demands and excuses but he meets his match in Sheep #68, one of the counting sheep Duncan needs to help him fall asleep. Getting a sheep to jump in its predetermined sequence seems to be as hard as getting a little one to sleep. Go figure. Duncan didn't mind going to bed but he'd do anything to avoid sleep. He would need to change his jammies, to change his socks, to get a night light or two, to get a drink of water, to read another story, to find his favourite toy, to change his pillow, etc., etc., etc. 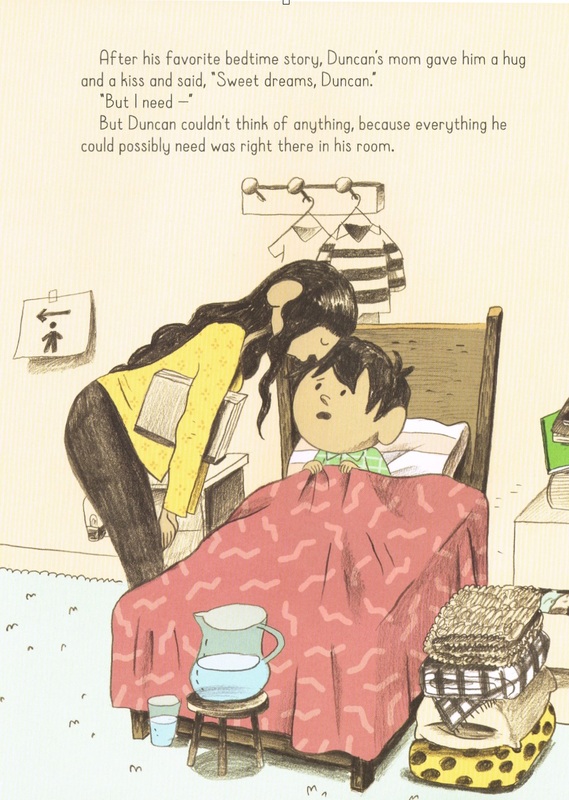 But one night, his clever mother makes sure every thing he might ever need and more is in his room (except for the washroom). When he declares he is not sleepy, she recommends that he count sheep. 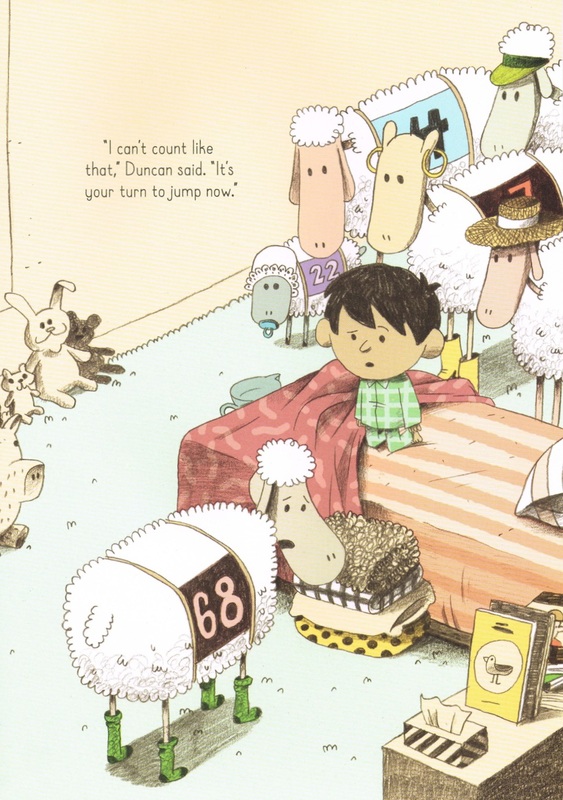 Soon a barrage of sheep, labelled with different coloured race numbers, are jumping over Duncan's bed and he counts. He starts to get sleepy but he has to sit up when Sheep #68 refuses to jump. Seems there's always something to prevent Sheep #68 from leaping and keeping up Duncan's count. With every request, Duncan gives in. Water, bathroom, the need to stretch, consider his green socks, and on and on. Eventually Duncan recommends that Sheep #68 join, without leaping over the bed, the first sixty-seven sheep already sleeping on one side of the bedroom. And with that, Duncan and Sheep #1 through #68 are asleep. Who knew that bedtime could be so exhausting? What a turnaround of a story, from little boy who frustrates his mother with his relentless bedtime demands to a sheep frustrating the same boy with its exhaustive appeals. It's probably maddening for all concerned: mother, child, sheep. But, told with the seriousness of children who are trying to reason their way through difficult situations, it's actually maddeningly absurd. But, Kerry Lyn Sparrow, parent and teacher, seems to know how to handle the wearisome bedtime antics of children and makes sure that Duncan gets as good as he gives without any nastiness or offence. 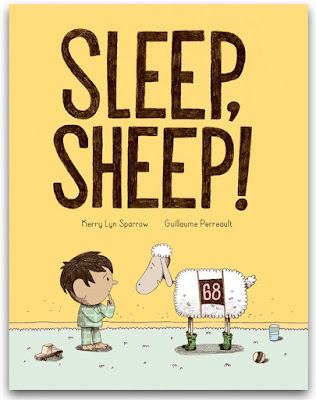 In Sleep, Sheep!, Kerry Lyn Sparrow's first book, she gives Duncan and Sheep #68 true voices that reflect their anxieties and resoluteness but still makes them empathetic characters. Even Quebec's Guillaume Perreault makes his cartoon characters relatable, giving them expressions of confusion, embarrassment, fear and even pleasure. I couldn't help but feel pity for Sheep #68. Just as Duncan feels the pressure to fall asleep, it feels the pressure to perform. Appropriately, Guillaume Perreault, who shared the win for the 2017 Le Prix TD with Larry Tremblay for their book Même pas vrai (Éditions de la Bagnole, 2016), works with Kerry Lyn Sparrow's story to make it evident that compassion is required to help make an awkward situation right. After all, who is going to stay up all night waiting for one sheep to jump? Here's hoping Duncan wakes up in the morning still recognizing the similarity in the sheep's actions with his own and the consequent happy endings that come with sleep. 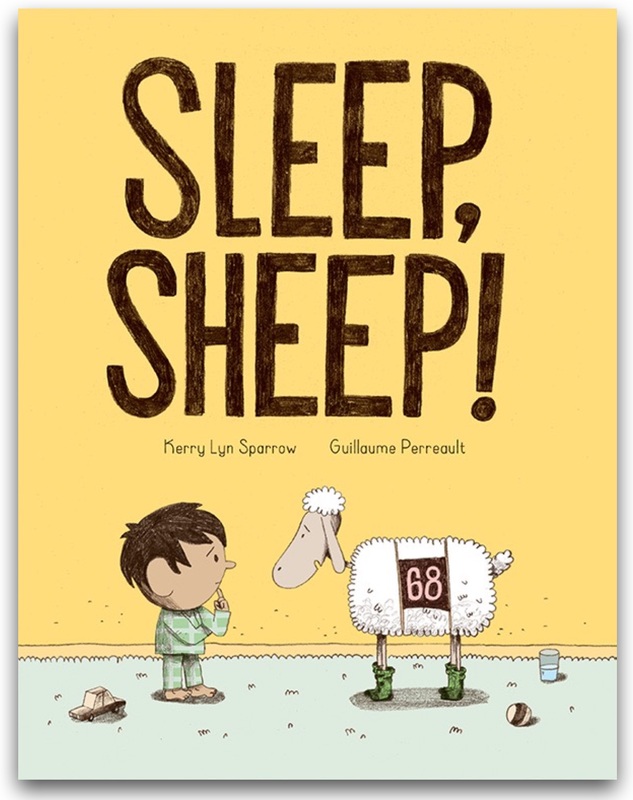 Labels: bedtime, excuses, frustration, Guillaume Perreault, Kerry Lyn Sparrow, Kids Can Press, picture book, sheep, sleep, Sleep Sheep!